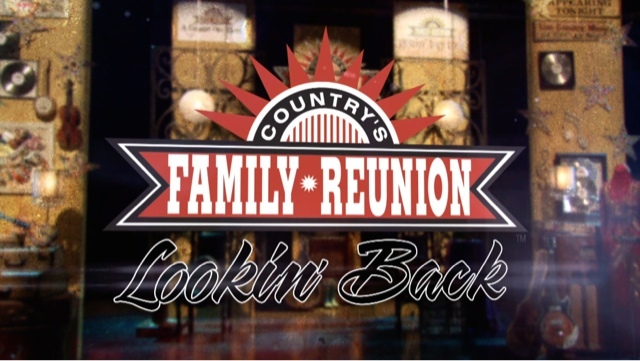 NASHVILLE, Tenn. (September 1, 2016) – Upcoming episodes of “Country’s Family Reunion” will spotlight popular episodes originally filmed in 2010. Artists in the ‘2010’ series include The Whites, Michael Martin Murphy, Narvel Felts, Duane Allen, Jessi Colter,and Johnny Lee. These reminiscent episodes also feature and celebrate the lives of many country legends who have since passed, includingJim Ed Brown, Billy Grammar, Charlie Louvin, Jack Greene, Earl Scruggs, George Hamilton IV, andJimmy C. Newman. The idea behind the hit “Country’s Family Reunion” series when it all started in 1997 was simple – ask the great people who shaped country music to get together and talk about their history, and maybe sing a few songs. Each episode of Country’s Family Reunion is hosted by country legend and hit songwriter, Bill Anderson who guides the discussion and supplies viewers with inside stories from his many years in the business. Nearly 20 years later, Gabriel Communications celebrates more than a dozen projects, featuring hundreds of songs and never-before-heard stories from some of country music’s original artists, which would have otherwise been lost forever. Click here to find out where to watch RFD-TV and “Country’s Family Reunion” in your area. Tune in Fridays at 7 pm CST and Saturdays at 11 pm CST on RFD-TV. The “’Country’s Family Reunion’ Collection Series” DVD box set features four different show compilations including “Country’s Family Reunion Original,” “Country’s Family Reunion Celebration,” “Country’s Family Reunion Gospel,” and “Stories From The Golden Age Of Country.” Purchase the entire series and have unlimited access to over 50 legendary country music artists with 130 rare live performances online by visiting www.cfrvideos.com.